Looking for a home surveillance camera? Turn an old smartphone into a security camera in order to see what is happening inside your home or office from everywhere at every time. 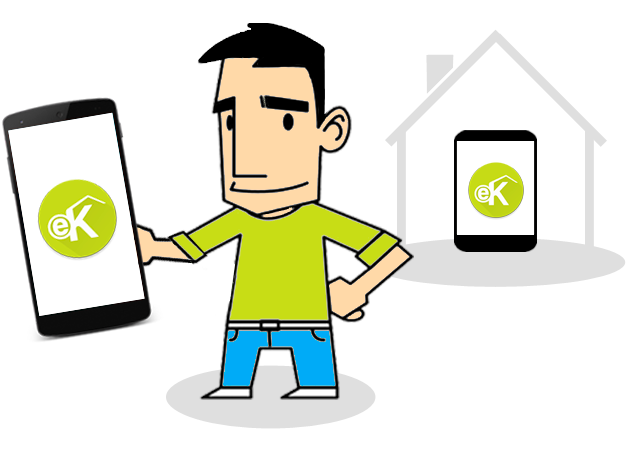 eKameno allows you to monitor people and things you care about. Use it as a baby monitor, as a pet monitor or as a home surveillance cam. It is really simple to use, install the Remote in your everyday phone and then install the Node in other Android phone that you can place at home. The application sends you a notification and real time images which will be stored in your mobile memory when your Node camera detects some movement inside the house. So you will be able to access to these pictures always you want it. Once you have figured out what is happening you can send an acoustic alarm or play the music inside your house if you wish. Further to use eKameno as a IP cam or web cam we are developing eKameno in order to allow you to control lights and home appliances using compatible smart devices as the wifi switch WeMo. We are also working on actions by voice or by proximity using NFC stickers. In a little while eKameno will be the easiest way to control the Internet of things at home. eKameno, smart houses for smart users.